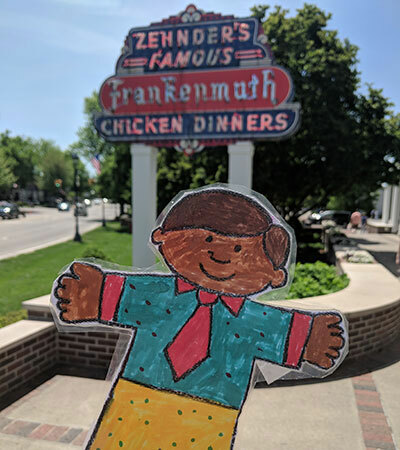 [PHOTOS] Zehnder’s received a special surprise in the mail recently – Flat Stanley! 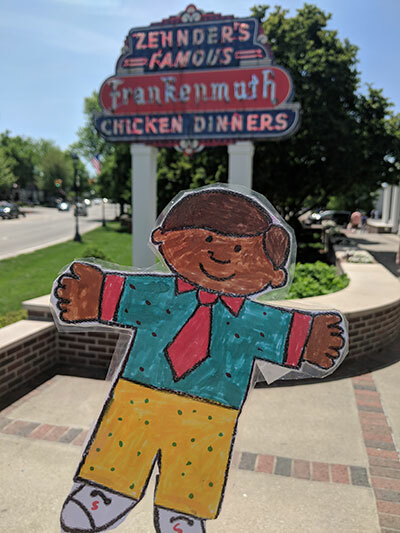 Flat Stanley has been all over the globe and has met all kinds of people so we were thrilled to show Flat around Frankenmuth to experience Zehnder’s. You can read more about the Flat Stanley Project here. Flat’s journey began with a visit to The Fortress Golf Course to hit a few golf balls. 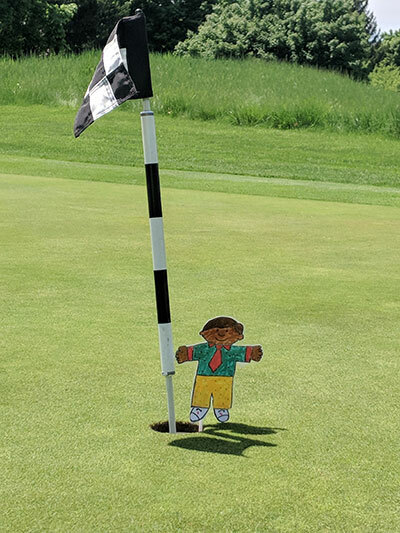 He was a little too short to swing a club but helped read the greens to sink some putts. 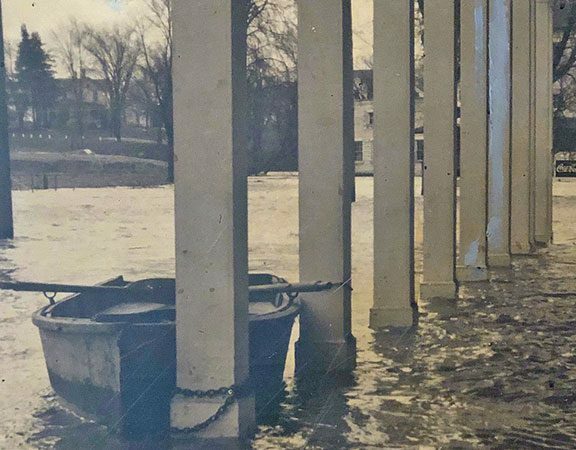 The strategy worked – we sunk every putt thanks to Flat! 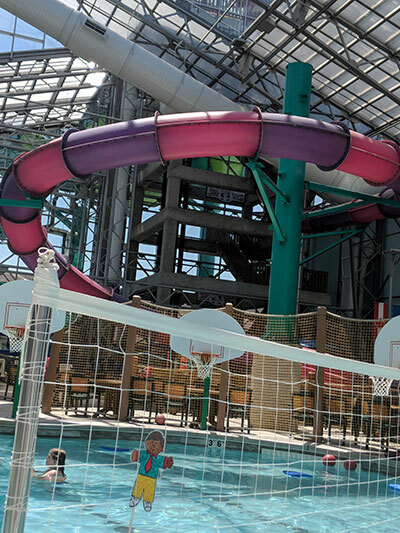 Next, Flat took some time to cool off at Zehnder’s Splash Village Hotel and Waterpark. Flat got the best spot in the house and hung out in the middle of the action to enjoy a game of water volleyball. Flat’s team took home the title of volleyball champs for the day! 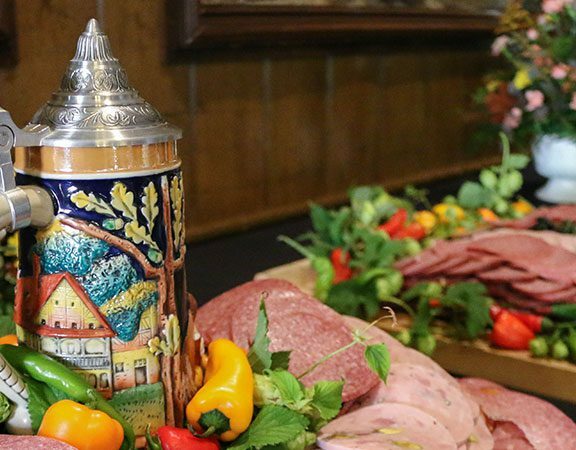 Flat worked up enough of an appetite to tackle the famous all-you-can-eat Family Style Chicken Dinner at Zehnder’s Restaurant including Noodle Soup with Crispy Crackers, Zehnder’s Creamy Cabbage Salad, house-made fresh bread, Zehnder’s Cheese Spread with Garlic Toast and of course, Zehnder’s famous golden fried chicken. 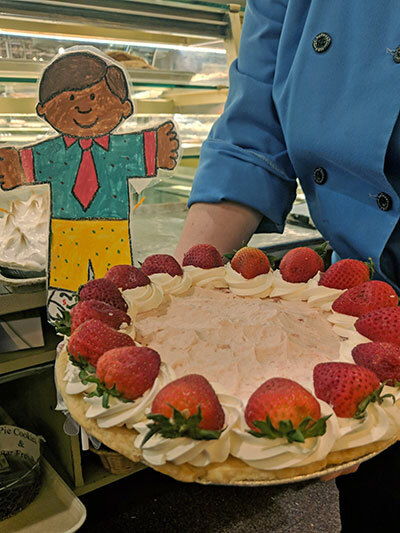 Ice cream topped with a zoo pick and strawberry pie from Zehnder’s Bakery completed the meal and Flat left Zehnder’s Restaurant not looking so flat anymore! 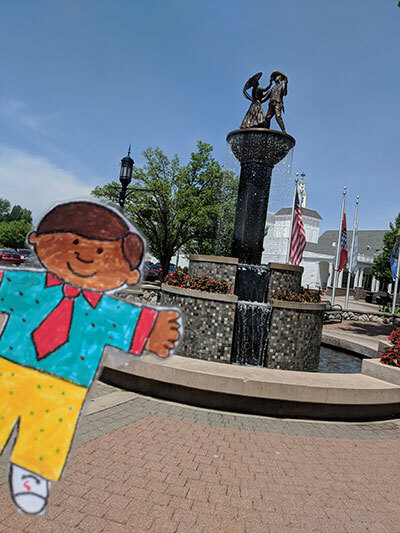 We thoroughly enjoyed hosting Flat Stanley! 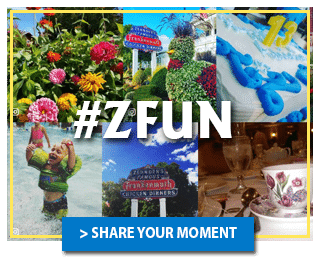 Thank you from Zehnder’s Splash Village for allowing us to share these adventures with Flat!